This work began life in the publication Uncle Chop Chop, a project run by Beagles and Ramsay. 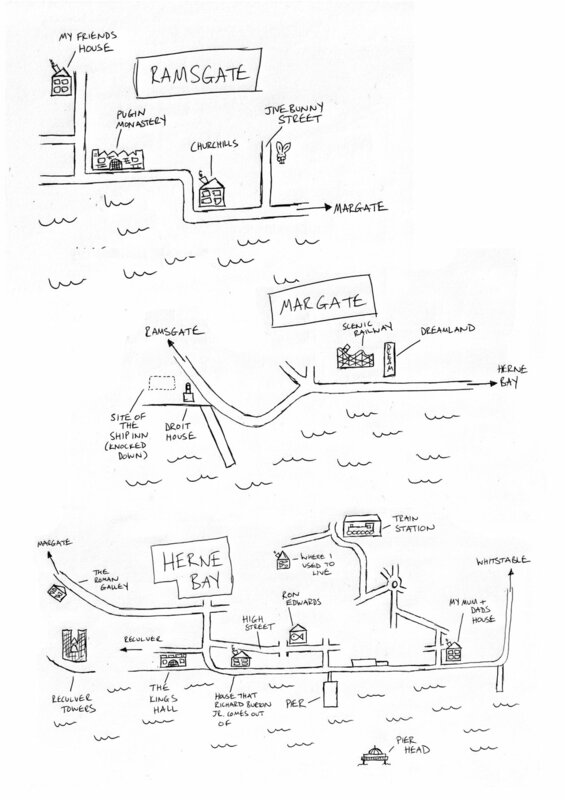 Based on reminiscences of growing up on the North coast of Kent - Herne Bay, Whitstable, Margate, Ramsgate - the text is a series of interesting points, facts, coincidences, connections and links between things that had happened in those towns. "...a landscape of strange connections and events, littered with hearsay, C-list celebrities and coincidences. It's the kind of history that exists anywhere, but one that can only be gathered over a lifetime of being somewhere." The work was previewed in the Guardian Guide and, following the performance, the biennale published an interview on their website that goes in to the project in greater detail.